With our custom made to measure Blinds’ new glow in the dark roller blinds, both parents and kids are bound to have an easy bedtime and a good night’s sleep. Children love these novelty and fun space themed glow in the dark star blinds. 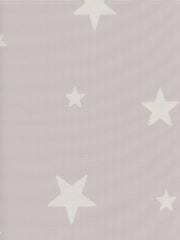 Night Night Glow block out fabric’s luminous star print on a stylish grey base is an exciting addition to any child’s room. Many children can be spooked by the dark yet, at the same time, sensitive to bright light at night time. 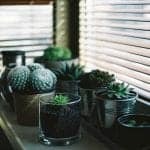 Glow in the dark block out blinds are an ideal solution. Daylight and streetlights are blocked out whilst the glow in the dark star pattern provides a softly reassuring twinkle. 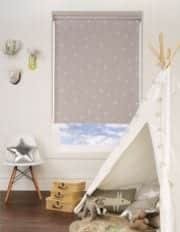 These Night Night Glow Blind Fabric is available in Roller Blinds and Roman Blinds. We have a large range of fabrics and patterns available for children and adults. Roller blinds with a block out fabric will prevent light filtering though the material whilst some light will appear though the edges. All of our window blinds meet the highest safety standards and regulations. 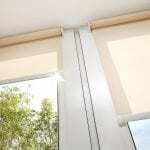 Blinds also have a motorised option available to add during the ordering process.